Mine: Very funny thanks to a great performance by Moore. This even manages to make Liza Minnelli appealing (quite a feet in my opinion). Gielgud is terrific and steal the limelight in all his scenes. Leonard Maltin/Plot synopsis: Winning 1930s-style comedy, written by first-timer Gordon, who died the following year. Spoiled millionaire must choose between continued wealth (in a planned marriage) and true love (with working-class waitress Minnelli). 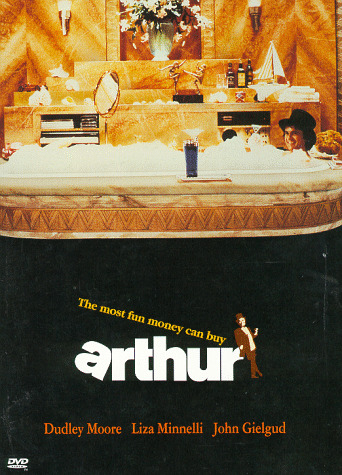 More genuine laughs than most recent comedies put together, and a memorable, Oscar-winning performance by Gielgud as a protective, acid-tongued valet; title song ``Best That You Can Do (Arthur's Theme)'' also earned a statuette. Followed by ARTHUR 2: ON THE ROCKS.